Categories: Avocados, Extended Sizes, All Tops, Tops. Tags: bettie page, rockabilly, viva las vegas, retro, vintage, cropped, Plus, plus size, crop top, fruit print, tropical print. 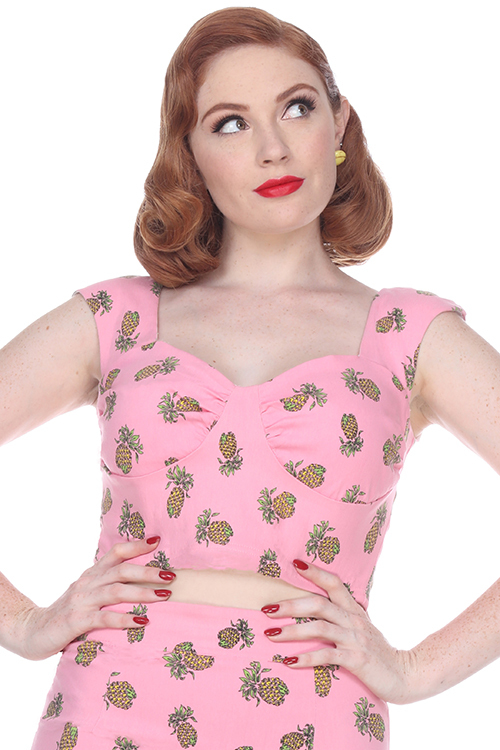 This sleeveless crop top from Bettie Page Clothing features a collared, V-shaped neckline and a tasty avocado print.